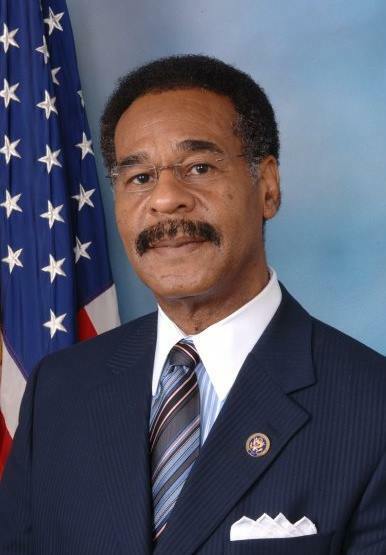 As long as U.S. Representative Emanuel Cleaver has served in government, the Mesle family has supported him. Our loyalty to him is ongoing because we believe he personifies the ethics, civility and judgment essential to wise governance. On behalf of ourselves, and my late father, we ask for your support of Representative Cleaver. We believe he is good for Kansas City, good for Missouri, and good for our nation. Have you voted. I have! I feel really good about it. I smiled at all of the other early voters as though we have a special bond. We do. Whether we agree on all of the candidates, we all understand the importance of voting as an essential element in our Constitutional rights and freedoms. Our respect as voters for our nation and our democracy ties us more closely together than any of our differences. If you haven’t voted yet, take the time to do so now. You will feel better for having done so. Then wear your “I Voted” stickers as a reminder to your family and friends to vote. And don’t forget, at the end of the day we are all in this together. Vote Today: Democracy Depends On It! Today there are elections all across the country. Vote for the party, the candidates and the issues of your choice. But vote. Democracy depends on it. It is July, Independence Day is just around the corner. We are in the thick of a Presidential election campaign. Stories concerning President Barack Obama and his Republican opponent, Mitt Romney, fill our newspapers, our television and radio stations and the internet news. There are weeks you would swear that the insults and barbs are directed at an enemy nation, not at an individuals who are lead and/or seek to lead, this great nation. Listening to the venom in the political debate, you would swear that neither candidate is fit to be President. In fact, both of these men are good men. They are flawed, as are we all. Their values, and the values of their parties, may be different than yours and mine. But they are not evil, incompetent or stupid. “We need a type of patriotism that recognizes the virtues of those who are opposed to us”. As fortunate as we are, and have been, our nation has serious problems, and we aren’t going to solve them by demeaning our government leaders through campaigns of hate. And can’t we stop throwing insulting comments at family and friends who vote for “the other guy”. Can’t we recognize their virtues? Isn’t this a time to direct our attention to finding solutions to serious national problems: the economy, immigration policy, strengthening our position as a leader within the community of nations. Can’t we look for answers together. Can’t we set aside our anger long enough to find common ground and to focus on solving problems together rather than focusing on new ways to embarrass and harangue those with whom we disagree. Can’t we make our leaders and each other look good, not bad? Support the candidate of your choice. Raise money, go door to door, help the processes of democracy work well. But at the end of the day, can’t we just find each other’s virtues? In this opinion we do not intend to speak for our employers, our spouses, our families or our friends.